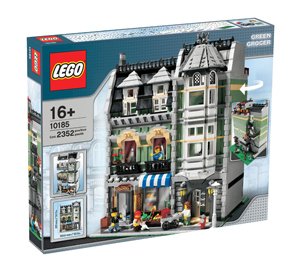 The Green Grocer set is the third town themed set from LEGO Direct to Customer and it’s a fitting neighbor to the previous two sets, the Café Corner and Market Street. What makes the Green Grocer different is that there is an entirely new level of detail inside. Each floor has a prop or furniture that is a great addition to the floor and to a builder’s library of models to decorate. It could be said that the Green Grocer is a great set to learn like building like an adult LEGO fan! The build begins with the set box – it’s a big box, and heavy! One very practical touch is that there is an inner box to store the elements – it’s an acknowledgement that the set is very complicated with lots of parts. The Green Grocer is a set that has a lot of what is called sand green, but there are some other nice uncommon colors hidden away in the model. There are also a number of new parts that will satisfy discriminating adult builders, including windows and doors. Opening the box and pouring out the contents sets the stage to a rather large build. How large? The first floor alone takes up 11 bags of various sizes and one instruction book. Each floor has its own instructions, except for the third floor and roof which are in a combined book. 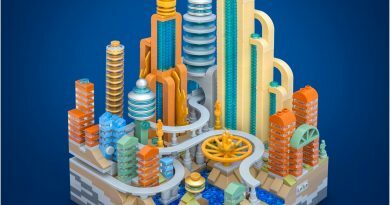 Like the previous sets, the result is that the builder gets to progress through small models that are combined to make a complete model. For me, this made it easy for me to divide building over sessions as opposed to a single long building session, which would take a bit of time. This, however, didn’t quite work out like I hoped – I got too interested in building and finished the model very early one morning! The instructions are clear, so it was no problem seeing what to do. The issue of distinguishing between dark grey and black seems to have been solved, as I had no problem matching part colors. The only problem I had was that one minifig was shown in the instructions was shown with the wrong color of legs – the instructions appear to have dark grey legs but the color is actually sand blue. There are many more tricks in the set, but I will leave that for other builders to discover. I think this is what made the set so much fun to build – the sense of discovery I got as I built. There’s also a sense of humor – one hidden detail is a mouse with cheese behind a mousehole. Where’s the mousetrap? I found out as I continued to build. The mouse is only one of the details in the set that make it outstanding. The first floor is fully furnished as a grocery, with refrigerated shelves with opening doors and cartons of food. There’s also a stairway to the apartment above, and a mailbox set with letters waiting to be picked up. There is a nice assortment of food, including carrots, apples, and bananas. With the large windows on the sides, the detail is easily seen. Upstairs, there are curtains at the windows, and a fireplace. On the other side, there is a banister for the stairs. Outside the rear of the building there is a fire escape that folds down. The third floor has a grandfather clock and a radiator and another banister. The roof has a rear balcony with seats, and umbrella and a grill. Each floor has at least a few tiles to suggest floor panels or carpeting, with the first floor having the most tiles. There are four minifigures and a side model for the female minifigure: a baby carriage. The figures are a nice assortment – a grocer, a man, a boy , and a woman. All of these make a good group to make the set come alive. The only challenge here is that the tiles do not allow the minifigs to stay in place – some plates for the minifigs could have been included, this is more of a nitpick than anything else. So is this worth the price? 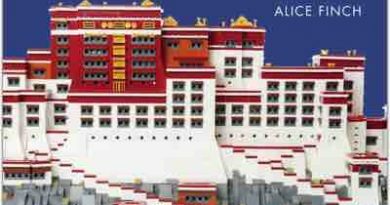 I would enthusiastically say “Yes!” This is a great set for a budding and experienced builders to learn architectural techniques and detailing. With all the parts, it’s also a great set to expand a collection with windows and doors, for example. And finally, it’s a great display piece that shows what can be done with the LEGO brick with some time and effort. So 2008 is a good year to go green! The bad: Not much at all. 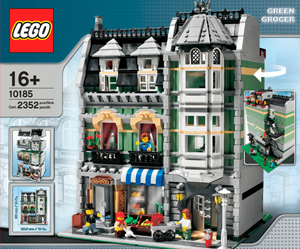 The Green Grocer is now available online at LEGO Shop-At-Home.